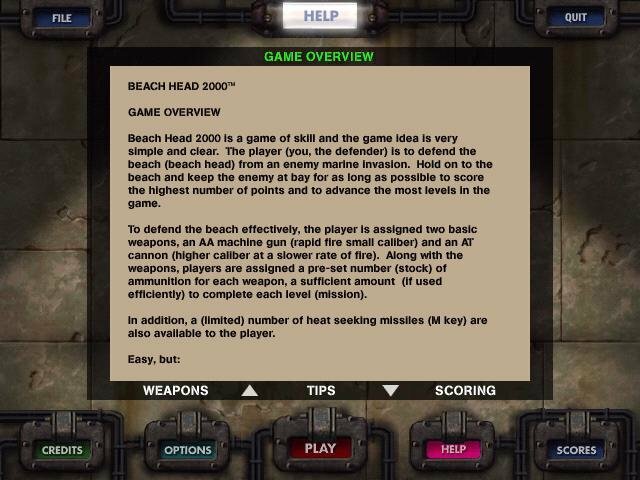 BeachHead 2000 is an arcade shooter where you, as a lone one army gunner, have to defend against waves and waves of soldiers, tanks, APCs, planes and helicopters that have the sole objective of swarming your position. You have an anti-aircraft (AA) gun as your main dispenser of grief amongst the infantry, an anti-tank (AT) gun for those pesky APCs and tanks (they can also take out barges), surface to air missiles (SAMs) to swat airborne threats, infrequent off-screen artillery support, and a .45 automatic pistol to… well, get to this point and it’s pretty much game over. 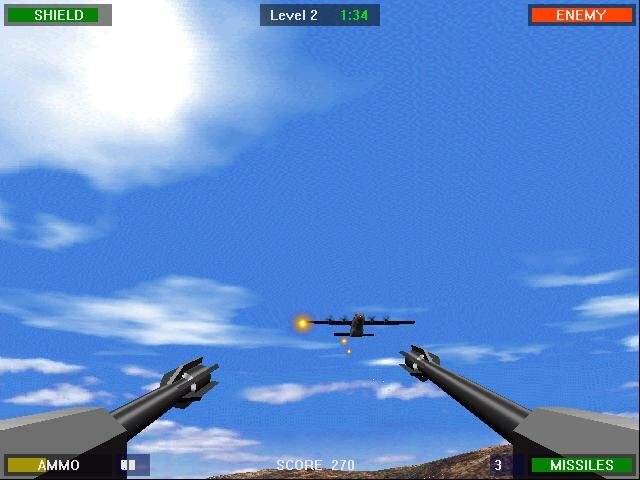 The key to victory (on a level to level basis—no one can actually win this game) is ammo. 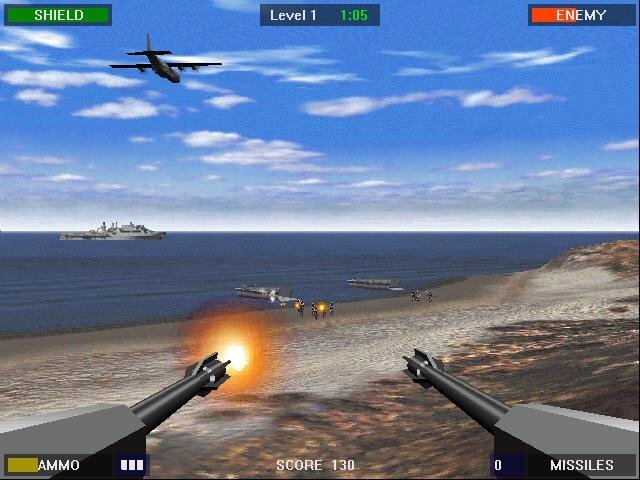 Ammo is dear throughout the game and re-supply of both bunker shielding and ammo is only possible if you shoot the parachuted supply crates your cargo planes drop randomly in your vicinity (and, of course, they are difficult to hit). Each level has different ammo/weapon availability. 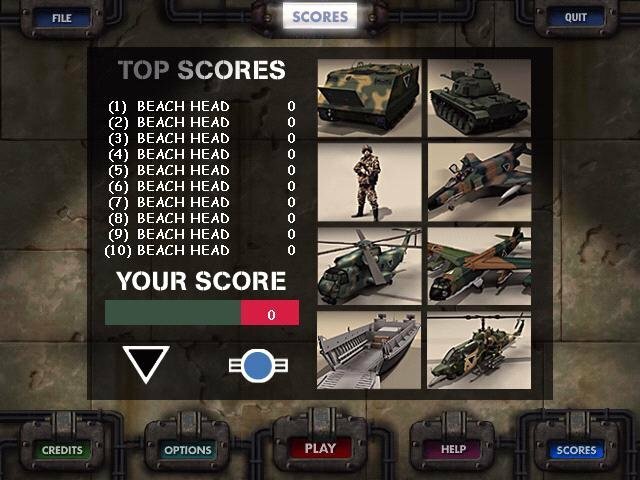 Early levels feature limited infantry, air, and armor attacks, so you may or may not have many SAMs, or rounds for your AT—though you will always have access to and a beginning amount of ammo for your AA. 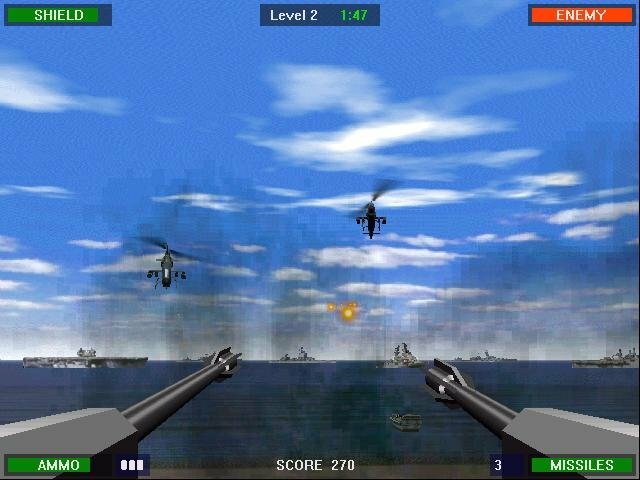 Later levels become a nightmare of planes, tanks, and ever-advancing infantry. i love this game , this is so old but as we all know , old is gold . 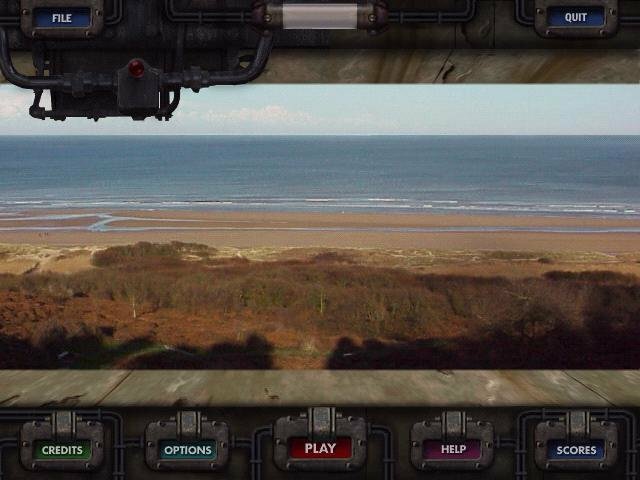 I agree with Julia, this game was the first ever game that I played and I absolutely love it! 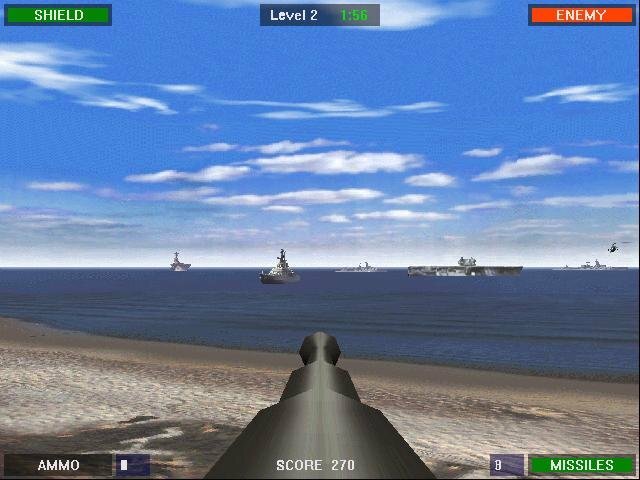 It was a big blast for me when I later learned about WW2 and D-day!